Thank you so much for exploring Somarakis. While I am very proud of what we have accomplished I know that the value of this company is only as good as our ability to continue to deliver the best vacuum pumps in the world. I also know our mission can only be accomplished by skilled and committed employees dedicated to customer satisfaction. I work every day to accomplish this mission. My story is that of the American Dream. I was born and raised in Greece on the Island of Crete where I got a Marine Engineering Degree. I used my degree to get a job on a merchant ship working under the decks as an engineer. Repairing ships on the ocean with limited resources made me really appreciate machine design that was maintenance friendly. After several years on the ocean I decided to immigrate to the United States. I landed in Vancouver, Washington in 1965 and got my citizenship in 1969. 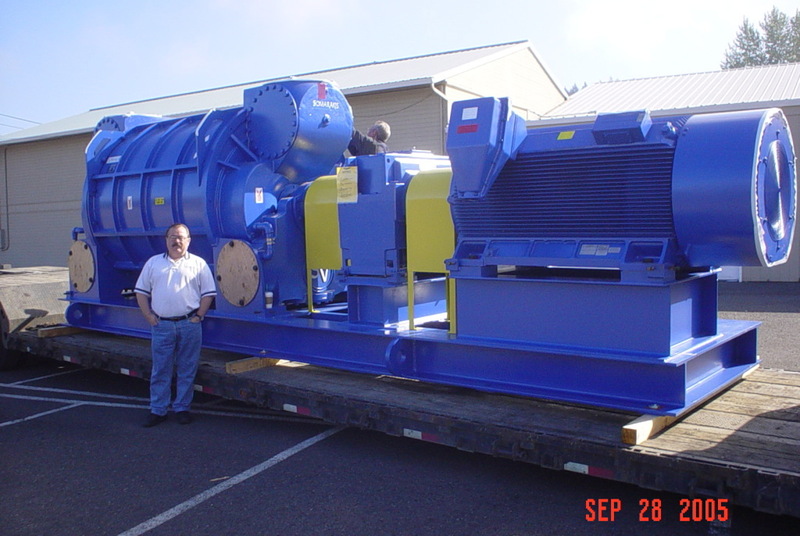 I started a repair business in 1973 and started building vacuum pumps in 1985. I incorporated several patented improvements into the pumps to make them maintenance friendly, and the customers liked that. The money that I made was put back into the business to build it to where it is today. Of course this work was not mine alone, for without people you have no company, or customers. I highly value those colleagues, employees and customers that have been by my side helping and critiquing and working beyond expectations. We like to build things, and we like to help people. Inside of this website you will find descriptions of some of the products that we have made and the services that we offer. I would be most honored if you contacted us to inquire about our products and to perhaps ask for our help in solving a problem that you have. I would be thrilled if that contact developed into a new acquaintance, customer, friend and member of the larger Somarakis family. If you want to contact me directly, follow this link to send an e-mail to me. I will follow up.